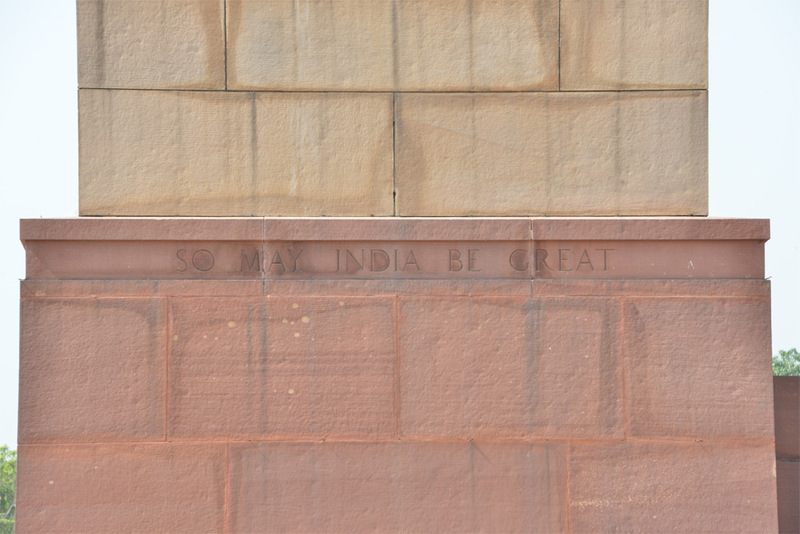 The Jaipur Column stands at a height of one hundred and forty five feet on the Rashtrapati Bhavan Forecourt, at an approximate distance of five hundred and fifty five feet from the main gate. 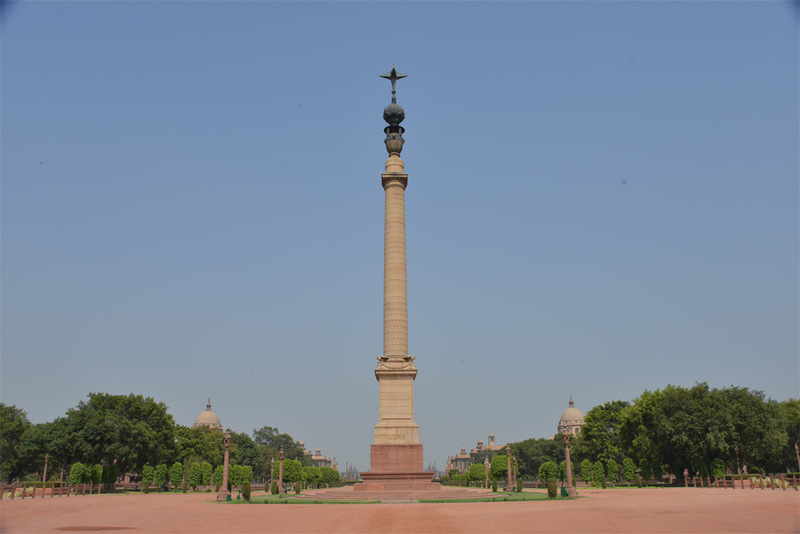 Designed by Sir Edwin Lutyens and sponsored by Maharaja Madho Singh of Jaipur, the Jaipur Column was built to celebrate the transfer of the capital from Calcutta to Delhi and as a token of allegiance of the princely state of Jaipur to the British Crown. The Jaipur Column is made of sandstone and atop is a five ton bronze lotus from which emerges a six-pointed Star of India, made of glass. The Star was installed in the year 1930. The lotus is one of the few Indian motifs that have been incorporated by Lutyens in the construction of Rashtrapati Bhavan. 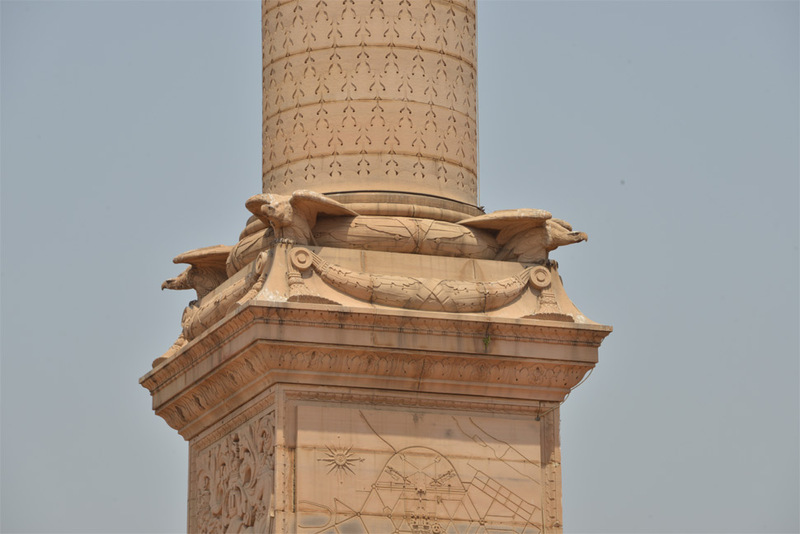 The imperial eagle also embellishes the four corners at the plinth of the column. It is interesting to note that inside the column a steel tube runs, tying the lotus and the star to a block in the foundation. 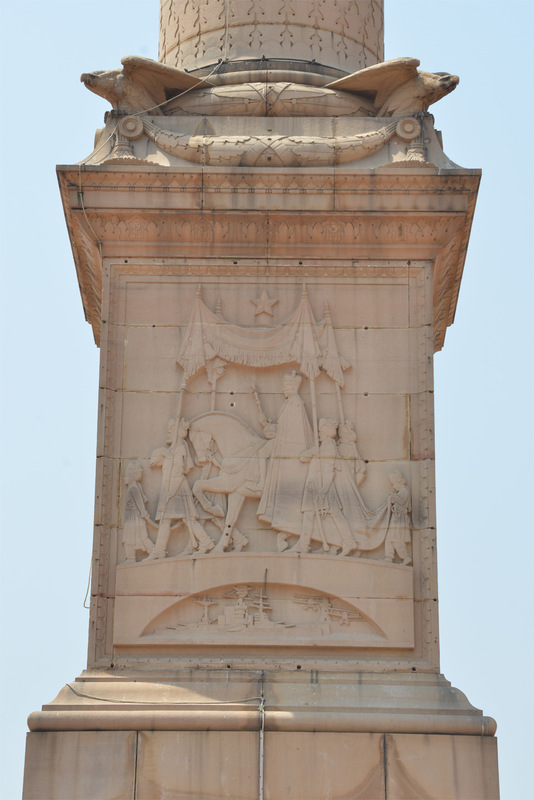 A statue of Lord Hardinge was placed at the foot of the Jaipur Column earlier. 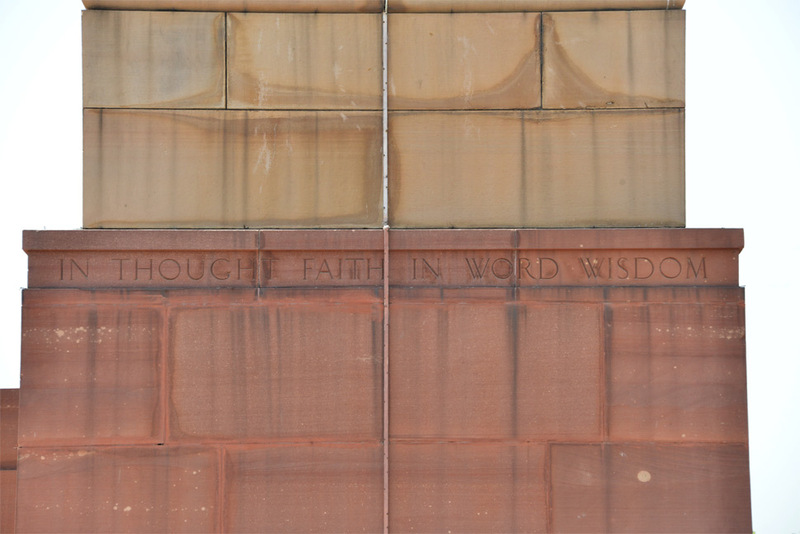 However, the statue was removed and shifted post independence to Kingsway Camp, the site of the 1911 Coronation Durbar. Every Saturday The Change of Guard Ceremony takes place in front of the Jaipur Column at the Forecourt. It is a traditional military practice wherein the old guard changes duty and the new guard replaces them. Every week a new contingent is assigned with the guard duties. The senior most regiment of the Indian Army, the President’s Bodyguard (PBG), entrusted with the ceremonial duties of the President of India, dressed in their traditional best with swords and lancers are also part of the parade which is a visual treat. The ceremony was opened for public viewing in the year 2012 at the initiative of President.